Cut out the meat, skip the butter, and pile on the vegetables. 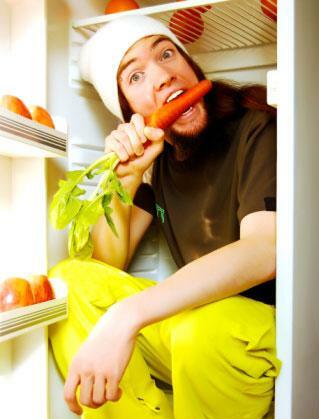 According to the Vegetarian Resource Group, about 2.5 million people in the United States classify themselves as vegans. Why are so many people turning to veganism? Some studies demonstrate that eliminating animal products is the key to a fountain of health benefits. Considering becoming vegan? 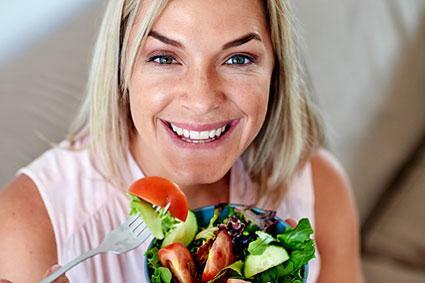 Check out these three simple ways to tell if this type of diet is right for you. Type A blood evolved during an era where people were forced to give up the life of hunting and gathering in exchange for farming of grains and livestock. With time, people with type A blood were able to digest and utilize the nutrients that derive from complex carbohydrates. For this reason, people with type A blood are said to do well on a meatless diet. Since a high percentage of the population has type A blood, there is a very good chance you are a prime candidate for a vegan diet. Ever notice an aching sensation in your joints after a feasting on meat at a backyard barbeque? You may be prone to gout. This painful disease is caused by a buildup of uric acid in the blood and forms crystals deposits around the joints. It is considered a form of arthritis and according to WebMD, more than 2 million Americans suffer from gout. Hereditary factors play a role in susceptibility, so if your parents suffered from gout, you could too. According to the Arthritis Foundation, avoiding foods that contain high levels of purines (chemicals in foods that can contribute to the build-up of uric acid) is a critical part of managing gout. Which foods contain a significant amount of purines? If you suffer from gout and are simply fed up with achy joints that happen concurrently after eating animal products, a vegan diet may be right for you. If you are that person who has always struggled with skin problems, a vegan diet may be your one-way ticket to the best skin of your life! For people with sensitive skin, meat and dairy products may contribute to breakouts. While there have been mixed studies linking diet to aggravating skin problems, many experts surmise that a compound found in dairy products (betacellulin) increases the risk of skin cell division and reduces skin cell death, which triggers the onset of acne. A very recent 2015 study published in The Journal Science Translational Medicine demonstrated too much B12, found in meat and dairy, could promote acne in susceptible people. 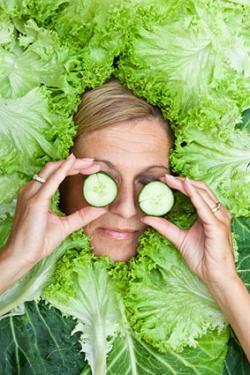 All the above foods fall under the vegan umbrella and could be the stepping stones to better skin. If constant breakouts are a reality in your life, it may be time to make the switch to a healthy and balanced vegan diet. Just because you make the switch to veganism doesn't automatically make you healthy. A vegan diet takes a moderate amount of planning and preparing. You will have to scout out new sources of protein and make sure you are getting the nutrition you need. If you are ready to make the switch why not begin today? Turnip the volume and follow the beet, a carefully planned vegan diet could be the healthiest decision of your life!